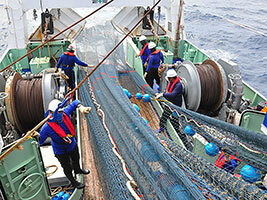 With support from the Japanese Trust Fund and using its fishery research and training vessel, the M.V. 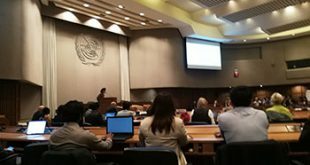 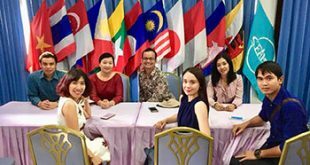 SEAFDEC 2, SEAFDEC carried out a “Collaborative Research Survey on Marine Resources and Marine Environment in the Gulf of Thailand,” from 17 August to 7 November 2018. 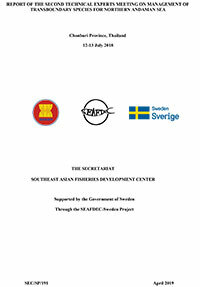 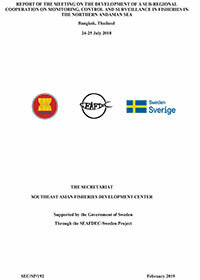 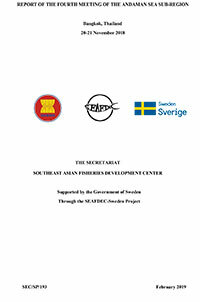 This survey is being undertaken by the SEAFDEC Training Department (TD), in collaboration with the Fisheries Administration of Cambodia, the Department of Fisheries of Thailand, the Directorate of Fisheries of Viet Nam, the Department of Marine and Coastal Resources of Thailand, Office of Atoms for Peace of Thailand, as well as some other academic institutions in Thailand. 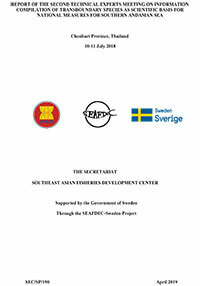 Throughout the past decades, the Southeast Asian Countries have been exerting efforts to expand their respective fishing activities, especially in the marine areas where resources are yet to be fully exploited. 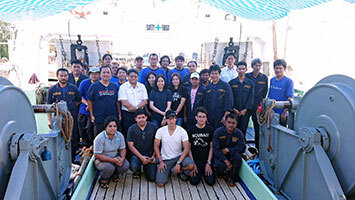 One of SEAFDEC tasks is therefore to conduct research and exploration surveys on potential underutilized fishery resources, and promote the utilization of such resources in a sustainable manner. 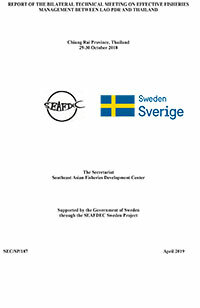 Marine fishery and environmental surveys using the research and training vessel of SEAFDEC is therefore an important activity to obtain data and information that are necessary to determine the status of fishery resources and to serve as basis for management to ensure the sustainable utilization of such resources. 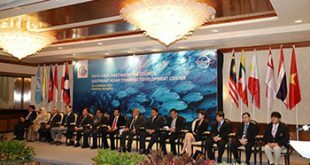 Furthermore, such activity would also help in enhancing the capacity of concerned staff of the Member Countries for their respective future undertakings related to marine resources exploration.